Normandy Shores is the Northern most part of Normandy Isle, a two-island residential community just west of 71 Street in Miami Beach that is connected by fixed bridges at Bay Road and Biarritz Road. In 1926, Henri Levi moved to Miami Beach from Ohio and took the once marshy land and dredged the land for 2 years straight to make Normandy Isle. Levi also helped construct the iconic 79th Street Causeway and Bridge. Normandy Shores is a guard-gated community, with public access at Biarritz Road and a residents-only entry and exit way off of North Shore Drive.. Normandy Shores has a unique variety of homes, architecture, and price points. The non-waterfront homes can start at $550,000 and go as high as $1.2 million. 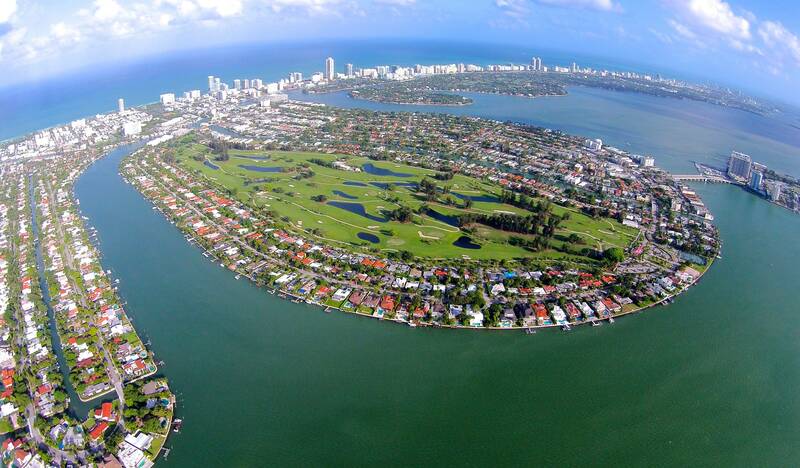 Waterfront homes on the Normandy Waterway range from $1.1 to $1.8 million, and homes situated on Biscayne Bay range from $1.8 to $6 million, with the higher priced homes boasting wide-bay views. 2614 Biarritz Drive has been the highest sale on the island to date, closing in March 2018 at $6 million. The contemporary, new-construction mansion boasts 73 feet of wide-bay water views with a lot size of a little over 12,000 total square feet. The home features 6 bedrooms and 6-1/2 bath, and sold for a record-breaking $922 per square foot. The sale really set a precedent for the island. The community is an incredibly unique area to reside as it appeals to many walks of life. The Northern and Eastern part of the island is on the wide bay, making it ideal for boaters to access the ocean via Biscayne Bay. 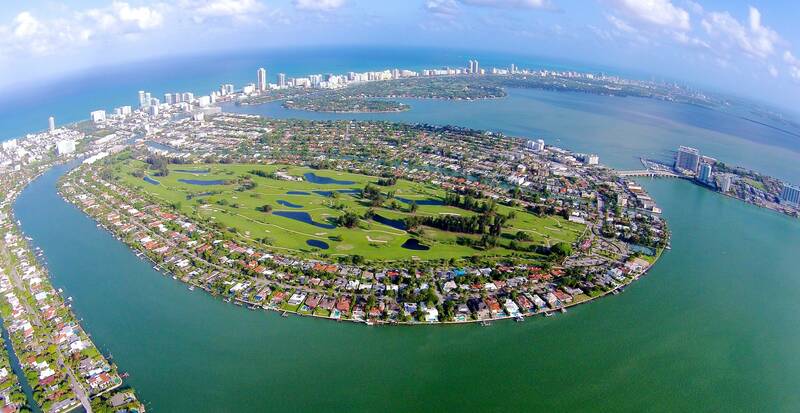 You have a mix of non-waterfront lots, waterfront homes on Biscayne Bay and on the Normandy waterway, the canal that separates Normandy Shores from Normandy Isles, and properties with a view of an 18-hole public golf course in the neighborhood. In addition to the golf course, there is a golf clubhouse with a restaurant, pro-shop, full clubhouse staff, tennis facilities, a basketball court, and a playground. It’s an excellent neighborhood for active families or people who want more of a “country club” lifestyle without the pressure of a private club. In addition to being centrally located, Normandy Shores is steps away from the thriving North Beach. On the weekends, the North Beach community has a Farmer’s Market that locals flock to, cute neighborhood restaurants that have become North Beach’s best kept secrets, a wonderful community center that offers classes for children and adults, and various places of worship. If you are looking for an area that offers a little bit for everyone, Normandy Shores may be the fit for you. If you are interested in buying, selling or renting in Normandy Shores, contact me at 305-674-4022 or Esther@EstherPercal.com.